Over the past few weeks, we’ve been busy canvassing members of the YCW global network for their thoughts on what to expect from the upcoming 19th Party Congress. Our questions ranged from seat shuffles among the Politburo Standing Committee to a ranking of the most pressing domestic social issues facing the central government. How do you think President Xi Jinping’s (习近平) political role will change after 2020? How do you think Wang Qishan’s (王岐山) role in the Politburo Standing Committee (PSC) will change after the 19th Party Congress in October 2017? Which leadership changes in the PSC do you expect to see at the 19th Party Congress in October? Half of respondents expect that Chen Min’er (陈敏尔) will be promoted to the PSC. 40% of respondents expect that Wang Yang (汪洋) will be promoted to the PSC. 32% of respondents expect that Li Zhanshu (栗战书) will be promoted to the PSC. 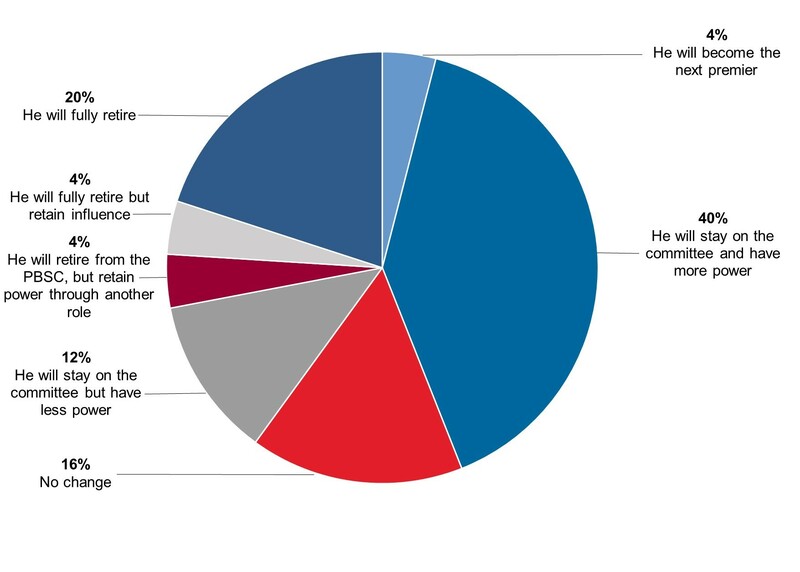 48% of respondents expect that Liu Yunshan (刘云山) will retire from the PSC. 40% of respondents expect that Zhang Gaoli (张高丽) will retire from the PSC. 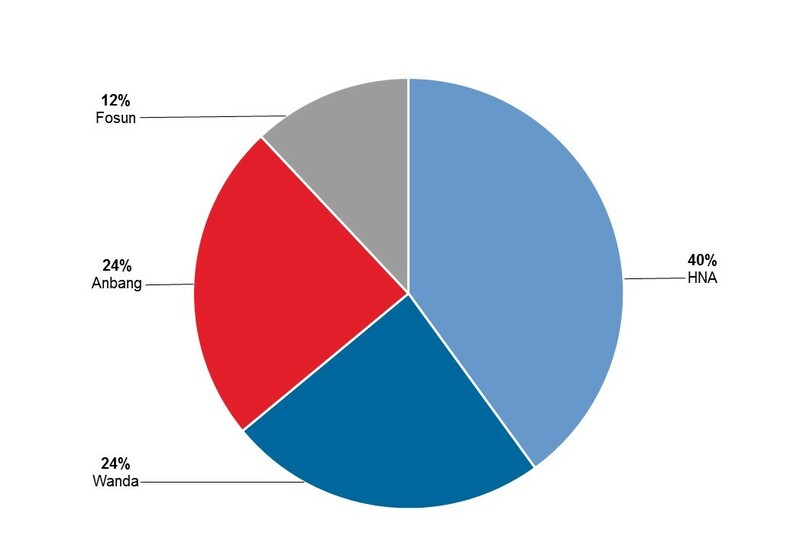 36% of respondents expect that Zhang Dejiang (张德江) will retire from the PSC. 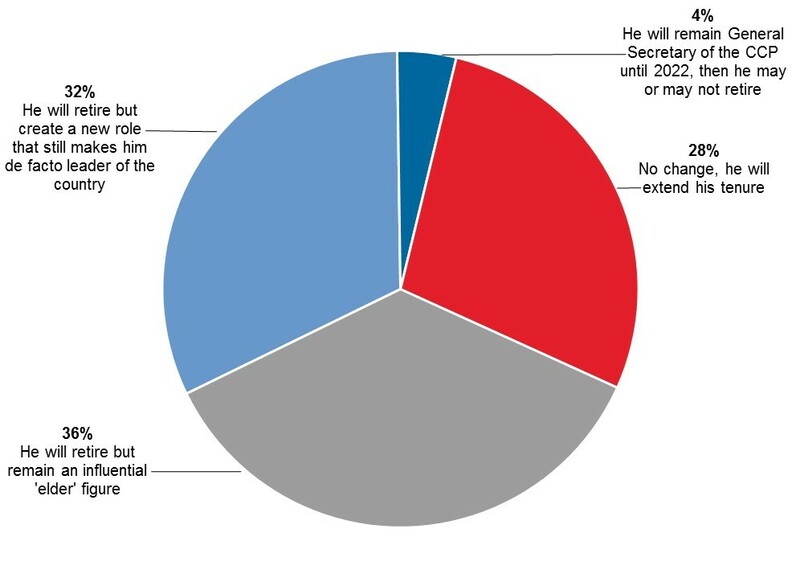 32% of respondents expect that Yu Zhengsheng (俞正声) will retire from the PSC. A quarter of respondents believe that the number of seats on the PSC will decrease from its current seven. Three-quarters of respondents agreed that the central government will implement significant economic reforms within 12 months of the 19th Party Congress. 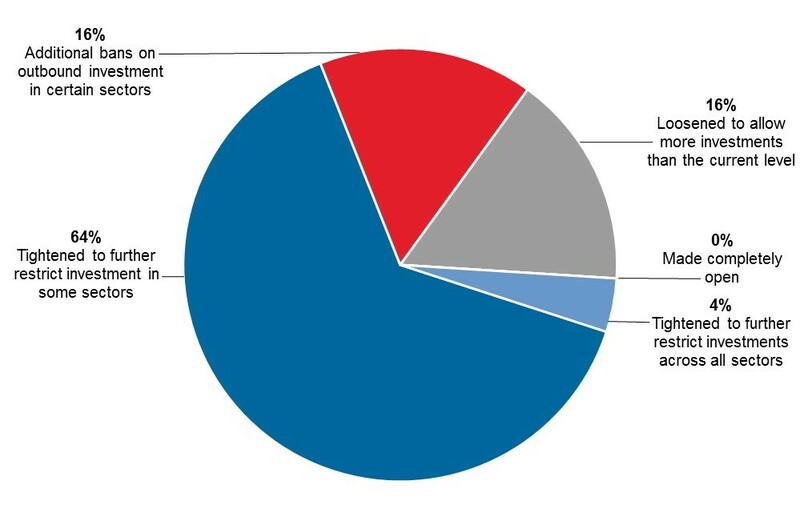 The remaining quarter of respondents disagreed that reforms would be implemented. 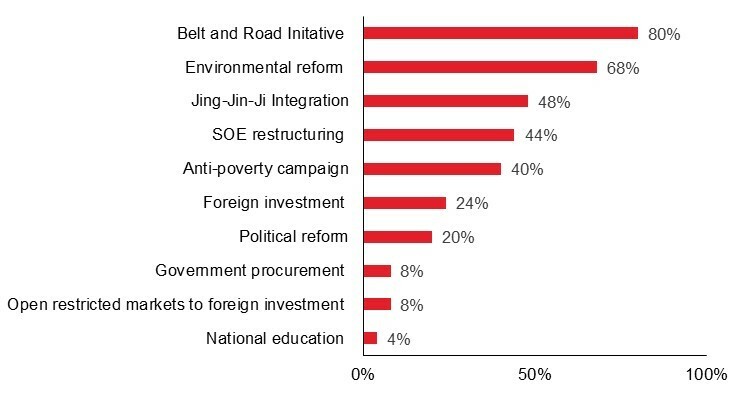 Which of the following areas will be given a significant mandate for reform after the 19th Party Congress? How might China re-calibrate its approach to North Korea following the 19th Party Congress? The majority, 60% of respondents, expect China to support further non-oil sanctions against North Korea. Nearly half of respondents expect China to support oil sanctions against North Korea. 40% of respondents expect China, Japan, South Korea, Russia, and the U.S. to restart Six Party Talks with North Korea. 28% of respondents expect China to militarize its borderland with North Korea. 28% of respondents also expect China to ramp up naval demonstrations/operations near North Korean waters. 12% of respondents expect there to be no change to the status quo. A minority, 8% of respondents, expect Beijing to strengthen relations with Washington as a pressure tactic. And suffice it to say that nobody expects Beijing to cut off ties to Pyongyang. Any other predictions for the 19th Party Congress? Zhou Yongkang will be reinstated to the Politburo to serve as Chief Tea-Maker with Bo Xilai. Xi’s ideas will be added to the party charter—as sixiang (思想) not lilun (理论)—elevating them above those of Deng Xiaoping. Expect further details on moving government and party functions to Xiong’an New Area. This will be the last congress held in Beijing. A Politburo Standing Committee member will be made into a new meme.